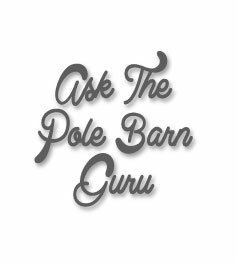 The Pole Barn Guru answers questions about living quarters, Plasti-Sleeve sizes, and poly-carbonate roof panels. I have a quick question that I’m hoping someone can answer for me. 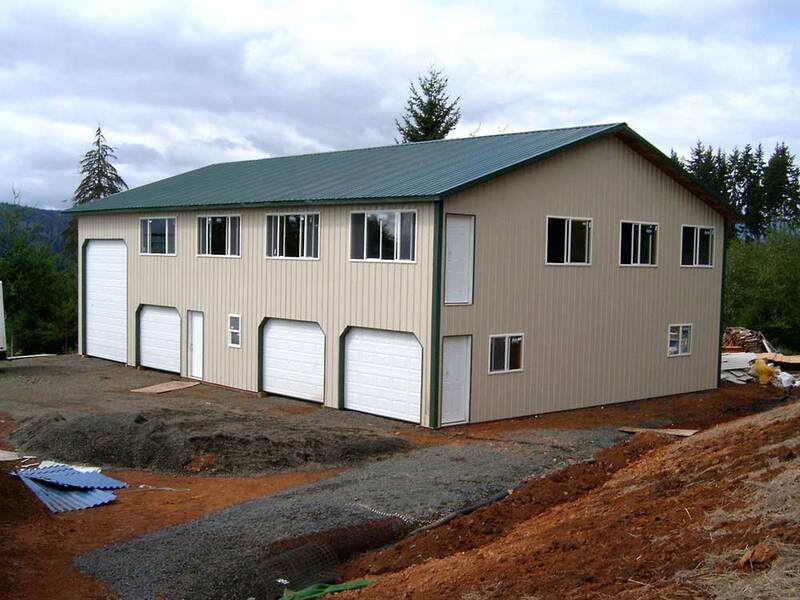 For your metal buildings that feature “living quarters” such as (PROJECT# 04-0509), have any of these ever been built on a property in Washington state as the primary residence (not as an accessory building)? 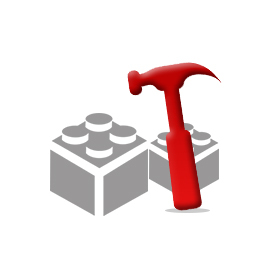 I am searching for a piece of land in Thurston county, and plan to build a home and a ~3,000 square foot shop. I love the idea of combining the two. I know that this is common in other parts of the country (with companies like Morton Buildings), I’m just not sure if this is doable in Washington state. If you have any insight, I’d love to hear it. P.S. If you have any interior pictures of Project# 04-0509, I would love to see those. DEAR ROBERT: Thank you for your interest. Post frame (pole) buildings are Code compliant structures and can be erected upon any buildable lot. You will have to meet Washington State Energy requirements Energy Code (as will any new residential construction). 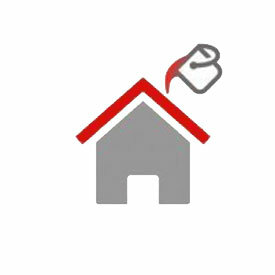 Your local Planning Department or a HOA may dictate specific types of roofing and/or siding to meet local covenants. This is not an issue for post frame as we can provide any type of exterior materials. 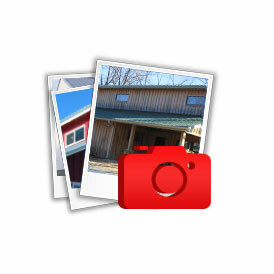 Because we supply only kit packages, we rarely get finished interior photos of our buildings. We will hope to be seeing ones from you in the not too distant future! Wood, especially treated, can swell with moisture beyond its normal dimension. 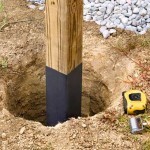 If your Plasti-sleeve (more on Plasti-sleeves here: https://www.hansenpolebuildings.com/2012/04/plasti-sleeves/) is too tight, here are some ways to ease installation without forcing it on. If your post has sharp corners, plane or shave with a saw to allow sleeve to slide on. Plane or saw sides of the post the length of the Plasti-sleeve. Use dish soap or similar slippery lubricant to aid in sliding on. In case of cold weather installation it may help to warm the sleeves to expand them. DEAR POLE BARN GURU: Why do you have the clear (translucent) light panels on the side-wall rather than on the roof? DEAR MARK: Rather than rehashing a subject I have expounded upon previously, here lies your answer: https://www.hansenpolebuildings.com/2012/01/skylights/. 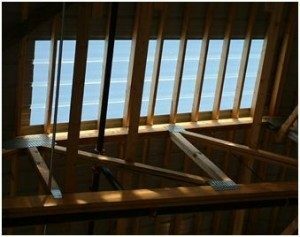 Challenges also exist with skylights and fires: https://www.hansenpolebuildings.com/2016/01/one-more-reason-to-not-use-skylights-in-steel-roofs/. Towards upper left hand corner of every webpage at www.HansenPoleBuildings.com you will find a magnifying glass adjacent to “Search”. To find information on any post frame building subject CLICK on Search and type your subject into this dropdown box, then ENTER. Magically answers will appear, in order of relevance to your request! 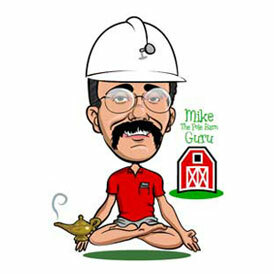 Dear Pole Barn Guru: How Much is Truss Weight? ?